Higgledy-Piggledy is a photographic exhibition portraying several professional circus artists. Taking place mainly outdoors, the photographs break the limit of the stage and bring circus to unusual locations. This process creates intimate pictures of the performers themselves rather than characters. This is the first exhibition by Alice Allart gathering photographies taken in the past 3 years. Alice is a circus artist who created the emerging company Bikes&Rabbits in London in 2012 and is now based between France and the UK. 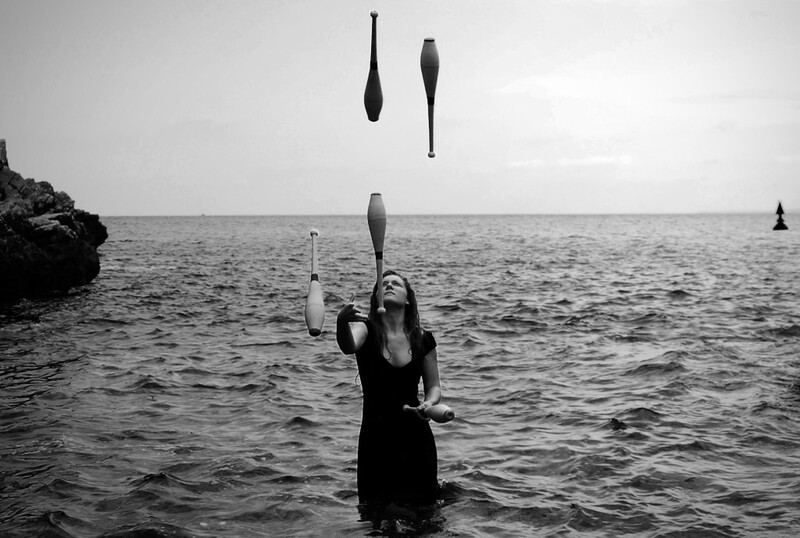 She has developed her photographic works in paralell of her circus projects. Alice is an associate artist with Crying Out Loud production company. The opening of the exhibition will take place on the 12th of October at 6pm at The Island (main entrance on Nelson Street). A free event and all welcome. Then the exhibition will run from the 13-30th of October from 12-5pm every day - open to the public free of charge. Do pop down!